PUNE: With many people flocking to the Sunburn music festival and other new places in and around the city, the ticket sales for the New Year's Eve events and parties have reduced by 30-50% in many of the older hotels and restaurants. Sayaji, Pune, which has planned an Arabian soiree at its venues in Turque and Portico, has managed to sell only about one-thirds of its tickets. "This is a long weekend with many partygoers travelling to celebrate the New Year 's Eve elsewhere. Moreover, Pune is hosting the Sunburn music festival again this year, and many revellers will be attending the music festival. That is why there is a dip in ticket sales," Prantik Ray, the GM of Sayaji, explained. Neerav Panchamia, the president of Poona Hoteliers' Association, cited the opening of new restaurants as the reason for poor ticket sales. "The crowds have been divided. Also, as the New Year's Eve is on a weekend this time, many people have gone out of town," he said. 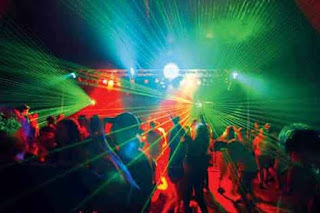 Quoting a 30-50% dip in ticket sales at most party venues in general, a prominent city hotelier said many people are opting for private parties because of strick drink-and-drive checks. "People want to avoid the hassle. They want to celebrate with their friends and family at private parties - where the food and drinks service is better - instead of spending time at crowded venues," he said. Reflecting the sentiment, party-hopper Aniket Srivastava said, "The 5 am deadline has made it easy for us to party throughout the night. My friends and I have passes for a party in Koregaon Park. Later in the night, once we are bored with that party, we plan on going to our close friend's house party. Getting sloshed outdoors is a big no-no," he said. A source from a lounge in Koregaon Park also quoted a 15% dip in ticket sales. "We do expect the ticket sales to pick up at the last moment. People have a tendency to wait until the last minute and even the online booking portals offer attractive discounts as the New Year's Eve approaches," he said. One five-star hotel in eastern Pune, however, seems to have bucked the trend. The hotel's GM said the all their tickets were sold out by December 30. "People are looking for a different experience. The ticket sales depend on the price as well as prior demographic study to find out what the other outlets are offering and how one can make their services better than theirs," he said. Meanwhile, the Hotel and Restaurant Association of Western India (HRAWI) urged its members to observe low-key celebrations this year in view of the tragic Kamala Mills fire incident. "Since most of the hotels and restaurants have already sold the tickets, it is not possible to abandon the plans. However, HRAWI has asked its members to accord paramount importance to patrons' safety and observe all fire safety norms. Our members will also sport a white label/flag in memory of those who lost their lives in the deadly Kamala Mills fire," Dilip Datwani, the president of HRAWI, said.